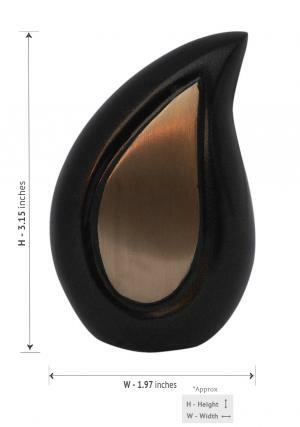 » Size (Inches): 1.97" X 1.97" X 3.15"
Brown teardrop keepsake funeral urn for ashes, a unique and beautifully designed elegant to store ashes of loved ones as a good monument of peace. 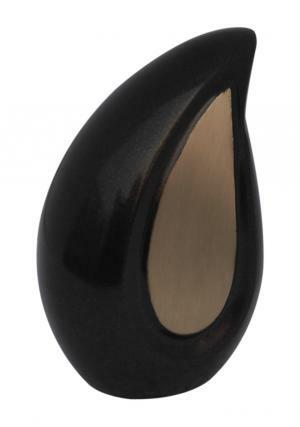 The keepsake teardrop memorial urn is made of solid brass with the outer layer surrounded by soft texture finish of coffee brown and an inner tear in brass as front end. The brown teardrop keepsake urn is specially designed from hand engraving of skilled professionals. The teardrop mini urn has a flat base with screw threaded lid for insertion of ashes from bottom and intricately designed grip to the lid for an easy opening. 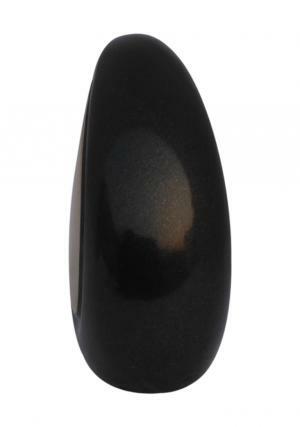 The mini keepsake teardrop funeral urn weighs 0.24 kg which measures to be 3.14 inches in height, 1.96 inches in length and width.